Imagine a working day that goes like this. You get up at 7.30am, rather than 6am, its still early, but you feel more rested, fresh; you might even decide to go for a run and then still have time to properly eat breakfast sitting at the kitchen table with your kids before they go to school. You could even drive them to school, test them on their spellings in the car and kiss them goodbye. At work you leave when you’ve completed your tasks for that day, no more, you’ve achieved, you can do the rest tomorrow. You run errands, finally get that cheque cashed and buy a present for your godchild and post it in time. It feels good to get your life in order, to be on top of things and still have time to spare. You might go to the gym or meet a friend, go to a cookery class, a book club, an art class, a dance class, a Spanish class and then you’ll make it home for a family dinner, which you could cook, if you wanted. You’re not exhausted or blurry eyed from staring at a computer screen, you can really chat and engage, feel part of something bigger than the daily grind. It sounds pretty idyllic, although probably quite unrealistic to the majority of us. The thing is, it doesn’t have to be unrealistic. Think about it like this, happier people make better employees. They’re more productive, creative and efficient, which is good news for a company’s success and development. Clive Schlee, the Chief Exceutive of Pret a Manger claimed to the The Telegraph in a recent interview that he “can almost predict sales on body language,” owing the success rates of the company (increased sales by 16%) to the positivity of the staff. 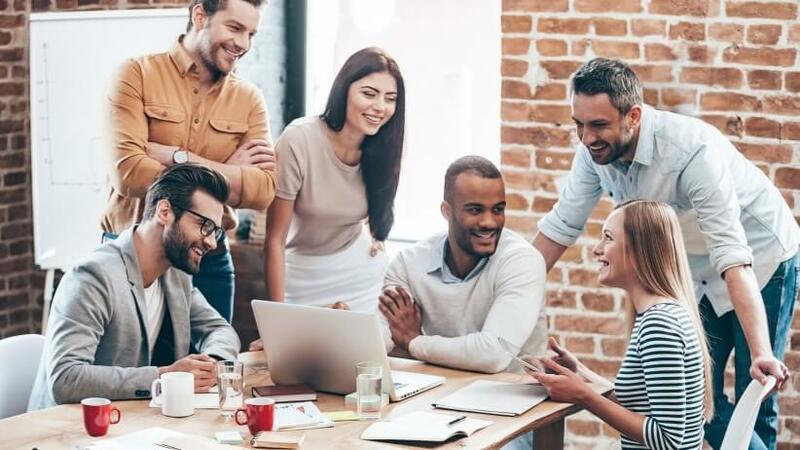 Leading expert Professor Andrew Oswald, published major findings last year stating that “happy people were 12 per cent more productive than “normal” people”. In the same Telegraph article, he is also reported that “unfortunately humans can’t help looking over their shoulder”, leading the writer of the piece to conclude that we have to “crack envy” before becoming happy and therefore, productive workers. This is certainly the case when it comes to performance led perks and benefits, but with a universally shortened working week that envy is cracked. To put it very crudely and well-being aside for a second, depression costs money and time, which are the two biggest assets to any organisation. By slicing hours off the working day and allowing employees to actually exist outside of the office environment, you’re more likely to have people bounding into the office every day as opposed to sloping in a few minutes late after having stayed up all night just trying to complete their tax returns or running on a tread mill to stay fit or hanging out with friends. We have to start making personal life a priority, instead of just squeezing it in around the edges of the working day. In The New Yorker, Maria Konnikova argues that “We’re creative and productive when we feel we have space to find our own way; we’re frustrated and stubborn when we don’t”, continuing that a shorter working week would allow people more time to sleep, which would would lead to “better cognition, clearer thinking, and increased productivity.” Working like we do, until 7pm or 8pm at night, 6pm at best, we don’t have the time to properly unwind after work and let our heads clear and focus on something else. We effectively carry the office home with us. Too exhausted from the weight of it all, to do anything but sit in front of mindless television (another screen) until our eyes are practically bleeding and we pass out in bed. There’s been an increased movement lately towards standing desks – I’ve made the transition myself – in a bid to try and promote well-being in the working environment. A report published by the British Journal of Sports Medicine warned that physical inactivity results in a heightened risk of serious illness and premature death so companies have started introducing gym balls to sit on instead of chairs or have taken chairs away altogether, which is fantastic, but doesn’t do anything to help reduce stress levels of unmanageable work loads. According to an interview professor John Ashton gave in the The Guardian, the excess stress caused by a five-day full on working week can lead people to have high blood pressure and suffer from mental health problems like anxiety and depression. This includes burnout from trying to cram too much into our non working hours when we should be just taking some precious time to relax. Then let’s think about the economy; how the redistribution of hours will help create more jobs and cut unemployment. That means fewer people claiming benefits and more paying taxes. There would also be a greater sense of community, with more people participating in local activities, engaging in politics, locally and nationally, and campaigning for change. The Netherlands and Germany have shorter work weeks than Britain and the US, yet their economies are as strong or stronger. I think its important to remember here, that I’m saying this all as a business man. I need my company to succeed, and for that to happen people have to put in the leg work, but I’d much rather they spent their time in the office effectively, productively working rather than trying to beat off the warning signs of sleep with tea breaks, texting and phone calls. I’m not employing people to trawl through Facebook, which inevitably leads to negative feelings too. I’d rather they worked harder, for less time, and got to leave the office feeling pleased to have achieved and excited to really enjoy the rest of the day, because at least some of the day still remains. Of course, there has to be some management with a shorter working day or a four day week so that people don’t just stick in the same routine of wasting hours. Banned social media would be the place to start, less meetings, better communication and effective training. Our lives should be getting easier rather than more hectic. Let’s start implementing the changes now and look forward to a calm, healthier and more productive future.